The micro iDSD Black Label is a boutique digital audio converter with high-end analog components for the best possible sound quality. At the heart of the micro iDSD BL is the Burr-Brown DSD512/PCM768/2xDXD True Native DAC with headphone amplifier, delivering a high fidelity sound that audiophiles will appreciate. The micro iDSD BL retains the unrivaled technical capabilities of its predecessor. This means it is capable of true native playback of all music formats from MP3 all the way up to 512DSD/768PCM/2xDXD. bb	The Burr-Brown DAC chip used was one of the last chipsets from BB Japan (though it was introduced post-merger). This chipset was Burr-Brown’s ‘swansong’ and embodied all their converter technology. 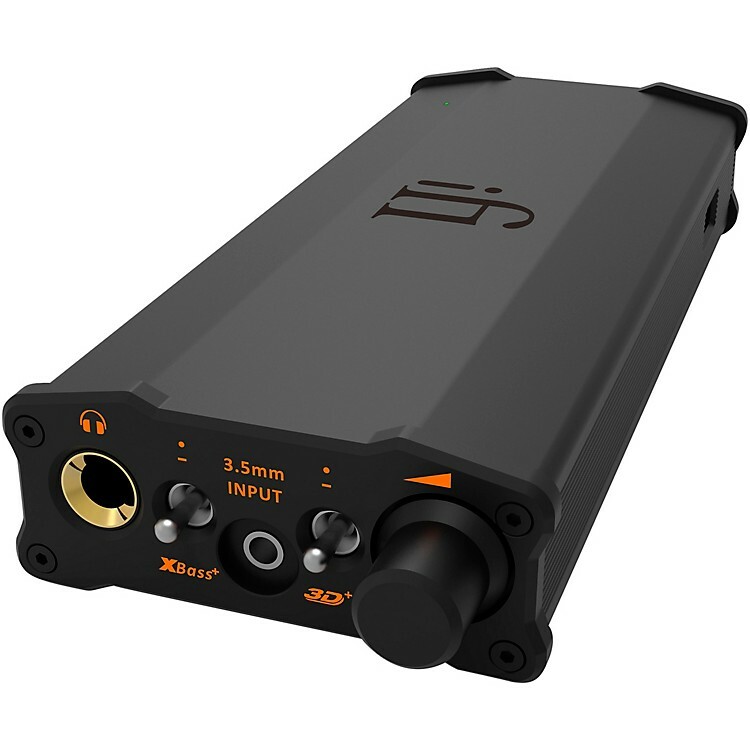 It is unrivalled in terms of subjective musicality and is a mainstay of the iFi line including the micro iDSD Black Label and is used in the upcoming showstopper, the Pro iDSD. 3dxbass	The latest iterations of 3D+ and XBass+ are appreciated technologies that further enhance the enjoyment of music. With a larger soundstage and deeper, tighter bass respectively, both are even more engaging and satisfying than ever. microidsdbl_opam	iFi/AMR ‘OV’ series stands for ‘Operationsverstärker’ (German for Operational Amplifier). The ‘OV’ range IC’s use HCOFC copper lead-frames and 4N Gold bond-wire which are streets ahead of mainstream commercial chips that use inexpensive aluminum bond-wire, low-grade/low-cost copper in the lead-frames. spdif	Digital Audio Players (DAP) and home SPDIF sources are abound. Flexibility remains key and the micro iDSD BL retains the intelligent SPDIF in/out socket for optical/coax signals. So for those who wish to upgrade their DAP, simple use it as a transport and feed the micro iDSD Black Label. battery	From the very hungry HiFi Man HE-6 down to the Sennheiser IE-800, the micro iDSD Black Label is able to play hi-res out and about for 6 to 12 hours respectively. Even when not in use, it is able to charge an iPhone from 0% to 100% two times through its side USB charging port.